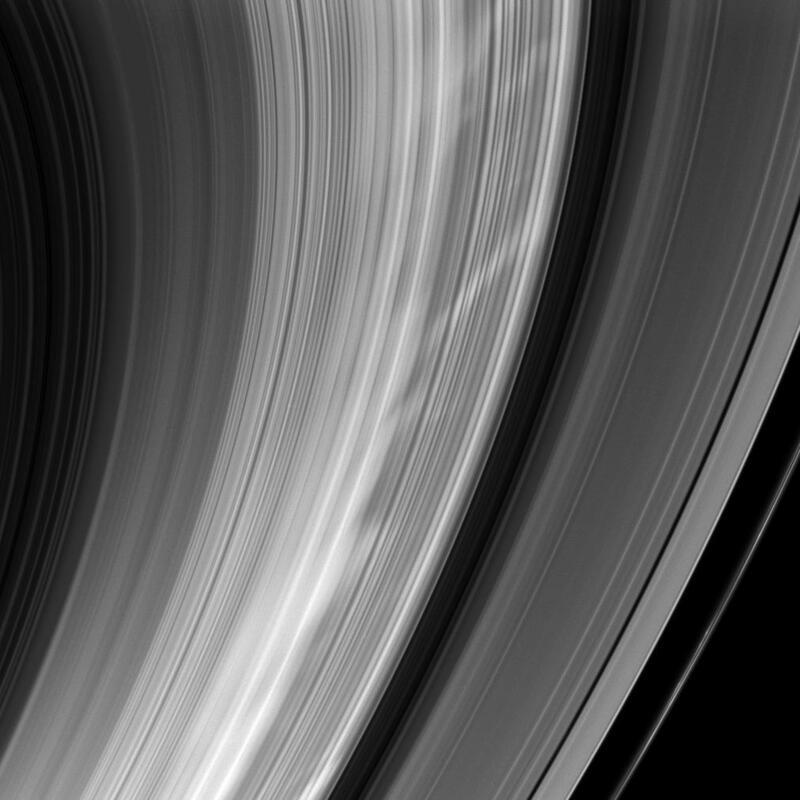 Explanation: What causes the mysterious spokes in Saturn's rings? Visible in the above image as light ghostlike impressions, spokes were first discovered by the Voyager spacecraft that buzzed by Saturn in the early 1980s. Their existence was unexpected. Oddly, the spokes more commonly observed when Saturn's rings are more nearly edge on to the Sun, and so were conspicuously absent from initial images sent back by the robot Cassini spacecraft now orbiting Saturn. Analyses of archived Voyager images have led to the conclusions that the transient spokes, which may form and dissipate over a few hours, are composed of electrically charged sheets of small dust-sized particles. Hypotheses for spoke creation include small meteors impacting the rings and electron beams from Saturnian atmospheric lightning spraying the rings. As Saturn approaches equinox, spoke sightings like that pictured above are becoming increasingly common, giving planetary scientists fresh images and data with which to test origin hypotheses.